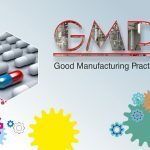 In this advent of Industrial advancement, the Pharmaceutical Industry has grown to its full power and is expected to keep growing like this consistently. This means that the demand for the skilled human resource is also on the rise. Students are increasingly getting aware of the career aspects of the healthcare sector and are taking up Health sciences as their Major in higher studies. Recently an article was published in the Times of India- Education Excellence section, speaking about various career options after 10th and 12th which emphasized on the importance of Clinical Research as one of the evergreens and regression-free field to opt for. India has been involved in clinical research for the past many years and is now on its way to becoming a major hub for it. 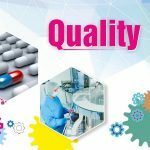 Employment in this billion-dollar pharmaceutical industry is already witnessing high demand for qualified professionals. There is a massive need for clinical research professionals in this fast-growing field. Clinical research makes an interesting career option with a great scope for professional growth. 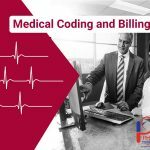 One can be a CRA either on completion of a Pharmacy degree course, a Paramedical course or any other Life science degree. A Clinical Research Associate (CRA) earns an average salary of Rs 300,662 per year. 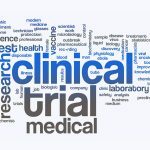 The main function of a clinical research associate is to monitor clinical trials. The CRA may work directly with the sponsor company of a clinical trial, as an independent freelancer or for a contract research organization (CRO). 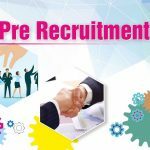 The big pharmaceutical companies in India demand that the candidate applying for a career in CRA post must possess the necessary knowledge and skills required for the job. 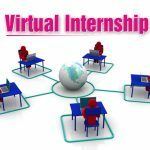 The best way to build a successful career in Clinical Research would be to get a Certification course in Clinical Research and get experience as a Clinical Research Coordinator, that will help the candidate to receive exposure to various aspects of the job and make him proficient for the post. 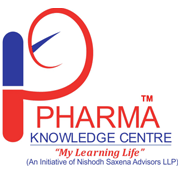 Pharma Knowledge Centre – “My Learning Life” (PKC) engaged Young Indian Youths to prepare this presentation/Blog and the same has been prepared by one of the associated youngsters in consultation with PKC. All rights reserved. All copyright in this presentation and related works is solely and exclusively owned by PKC. The same may not be reproduced, wholly or in part in any material form (including photocopying or storing it in any medium by electronic means and whether or not transiently or incidentally to some other use of this presentation), modified or in any manner communicated to any third party except with the written approval of PKC. This presentation is for information purposes only. While due care has been taken during the compilation of this presentation to ensure that the information is accurate to the best of associate and PKC’s knowledge and belief, the content is not to be construed in any manner whatsoever as a substitute for professional advice. Associate and PKC neither recommend nor endorse any specific products or services that may have been mentioned in this presentation and nor do they assume any liability or responsibility for the outcome of decisions taken as a result of any reliance placed on this presentation. Neither any associate nor PKC shall be liable for any direct or indirect damages that may arise due to any act or omission on the part of the user due to any reliance placed or guidance is taken from any portion of this presentation. Pharma Knowledge Centre (PKC) “My Learning Life” is engaged to bridge the real time Knowledge gap between Academia and Industry to make Students “Industry Ready” for Pharmaceutical, Biopharmaceutical and Clinical Research Organizations. B - 402, Primate Complex, Oppo. Mother Dairy, Judges bunglow Cross road, Bodakdev, Ahmedabad-380054 (Gujarat).